Last year’s two finalists, Lansdowne Yonkers F.C. and Cedar Stars Academy, were away in the Rapaglia Cup last weekend but that didn’t stop the CSL’s top flight from having a delightful second round. Shamrocks and NY Pancryprian Freedoms boosted their record to 2-0-0 with wins over Doxa S.C. and Zum Schneider F.C. respectively. Last year promoted side Central Park Rangers Whites held 2016-17 champions NY Greek Americans to a 1-1 draw. NY Athletic Club earned their first point of the season via a hard fought 1-1 draw with Hoboken F.C. 1912. 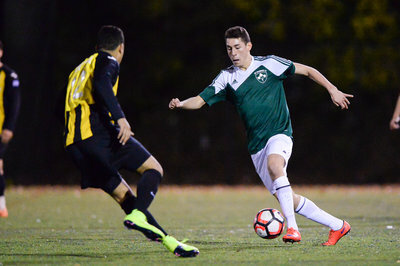 Shamrocks backed up their win over Lansdowne Yonkers F.C. on opening week with a 3-1 victory over Doxa S.C. in their home opener at Randall’s Island Field 75. Rocks forward Kurt Cameron shook his former team's net twice. Although Doxa fell to Shamrocks, they were the ones who drew first blood as Kareem Joachim opened the scoring in the first half from Mikel Agaraj’s feed. Cameron leveled up the score for the Irish club as he deflected Kwesi Mills-Odoi's shot in the net. Later in the 42nd minute, Shamrocks was rewarded a penalty kick. Left back Dan Giorgi who didn't miss once from the spot last season was called on again to take the Rocks' penalty. As expected Giorgi netted again from the spot to bring Kevin Grogan's men up 2-1. Cameron gave the Rocks a comfortable two-goal lead later on when he knocked Zachary Gosse’s header in the net to complete his double. Doxa's head coach Paul Grafas was unhappy his side wasn't able to outscore their opponents when they took 13 shots on them. On the opposite end of the field, Grogan was content with the win but noted that his side needs improvement. “It was a good three points but we need a lot of work as a team,” Grogan told the club’s website. Central Park Rangers Whites drew with NY Greek Americans 1-1 home at Randall’s Island Field 70. CPR opened the scoring in the 55th minute as Bibi Dia brought James Greco’s ball down before going around NY Greeks keeper to roll the ball in the net. Indeed Conor Hunter scored for the Greeks 10 minutes from time in a scramble in the box. NY Pancyprian Freedoms couldn’t ask for a better home opener as they cruised past Zum Schneider F.C. 7-0 at St. John’s University Belson Stadium. After scoring an exquisite solo effort in Round 1, new signing Gerassimos Magoulas was on target again. Adam Himeno scored a goal and had two assists in his first game of the season. 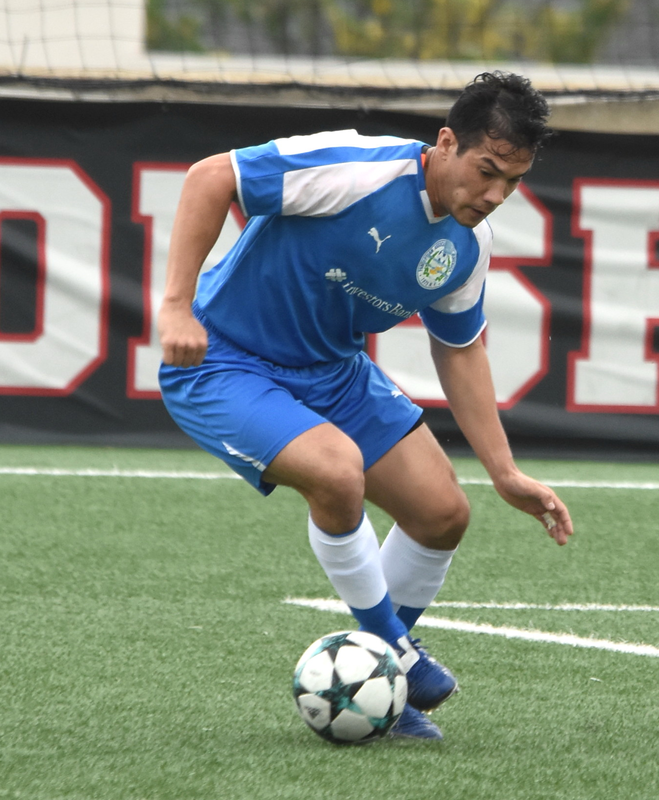 Jonathan Borrajo added one more assist to his tally to make it three in two CSL games. Andreas Chronis didn’t score as he did in the first round but had two assists. On the flip side, Grenada international Shavon John-Brown didn’t have an assist this time but scored his first CSL goal. Andreas Iosifidis tallied a goal and an assist and Amare Thomas recorded his first ever CSL goal. Hoboken F.C. 1912 racked their first tie back in the top flight, drawing with NY Athletic Club 1-1 away from home at Travers Island. NYAC was the first team on target as Rafik Mekhaldi launched on Jake Mann’s one time cross with a diving header in the 34th minute. Hoboken's top scorer of last season Cory Chaplin levelled the scoring 18 minutes inside the second half as he steered the opposite keeper's poor clearance in the net.